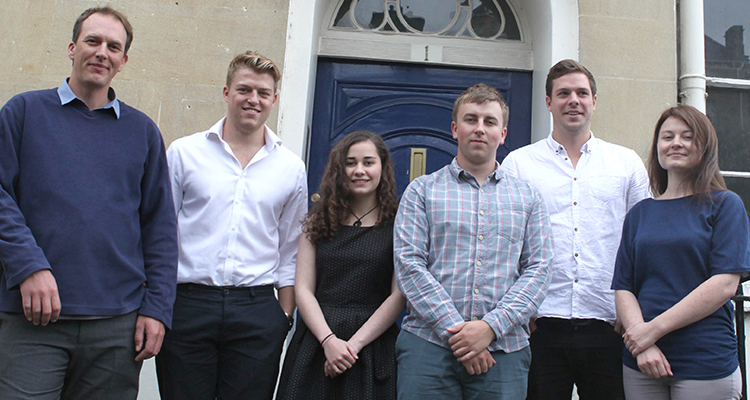 Bath-based software house, Mayden, is celebrating the graduation of six trainee software developers from its intensive, employer-led training programme, Mayden Academy. The academy was established to help grow and retain developer talent within the Bath and Bristol region, which is considered to be one of the largest and most productive tech clusters outside London. It offers aspiring software developers the chance to learn the fundamentals of software engineering, and to become certified with industry-recognised qualifications. The programme has attracted new talent to the area and to software development. It is focussed on developing technical skills that are particularly relevant to the software needs of the healthcare sector. The ‘Personalised Health and Care 2020: Framework for Action’ includes priorities for sustained investment in technology and developing digital capability across the health and care system. Growing the technical skills of people within the sector is essential to ensure health professionals can make the best use of data and technology in future. The West of England AHSN and the West of England LEP supported Mayden in securing a grant from a Department of Business Innovation and Skills (BIS) employer-led training fund. Mayden specialises in innovative, cloud-based software solutions for the healthcare sector. The company is driven by a desire to change the way services are delivered by staff and experienced by patients. Mayden is the company behind iaptus, the market leading psychological therapy patient management system.